(LOS ANGELES, CALIF.) – November 14, 2016 - Jaguar, tonight offered a first look at the Jaguar I-PACE Concept, an all-electric performance SUV(1), ahead of its global debut at the Los Angeles Auto Show with an exclusive VIP reception at MILK Studios in Los Angeles. Actress Michelle Rodriguez, late night-talk show host James Corden, supermodel Miranda Kerr, musician Gavin Rossdale, model David Gandy and Washington Nationals right fielder Bryce Harper, took part in a world-first, live cross-continent virtual reality reveal experience that transported the audience into a unique virtual world to explore the I-PACE Concept vehicle. The Jaguar I-PACE Concept(1) Vehicle is the start of a new era for Jaguar. This is a production preview of the Jaguar I-PACE, which will be revealed next year and on the road in 2018. Customers can register now at jaguarusa.com to be one of the first I-PACE owners. Dr Wolfgang Ziebart, Technical Design Director, Jaguar Land Rover, said: "This is an uncompromised electric vehicle designed from a clean sheet of paper: we’ve developed a new architecture and selected only the best technology available. The I-PACE Concept fully exploits the potential EVs can offer in space utilization, driving pleasure and performance." The electric motors and 90kWh lithium-ion battery pack were designed in-house by Jaguar Land Rover to give the best possible performance and range for most daily commutes. For rapid charging, using a public 50kW DC charging network, a full charge will take just over two hours. Enough to deliver an estimated 220 miles range (measured on the US EPA test cycle)(1). The I-PACE Concept(1) transforms the electric driving experience and offers the driver-focused performance and response Jaguar is renowned for. To help deliver this, the I-PACE has electric motors on the front and rear axles. Their combined output is 400hp and 516-lb ft. of torque(1) – the same torque rating as the F-TYPE SVR. Ian Hoban, Vehicle Line Director, described the set up to VR guests who were able to use virtual reality to get under the skin of this ground-breaking technology. 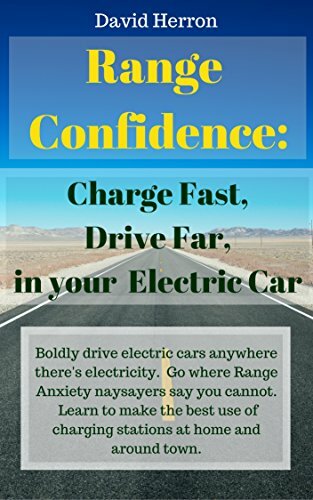 He said: "Electric motors provide immediate response with no lag, no gearshifts and no interruptions. Their superior torque delivery compared to internal combustion engines transforms the driving experience. With 516-lb of torque and the traction benefits of all-wheel drive, the I-PACE Concept accelerates from 0-60mph in around four seconds(1)." Groups in both LA and London were able to communicate and interact with one another, all while watching Ian Callum and Ian Hoban explain through high-end real-time 3D graphics both the design process and technology behind this forward-thinking concept car. The VR content from the reveal will now be available on Vive Port through a dedicated Jaguar app allowing consumers to experience the I-PACE Concept at home. Jaguar joined forces with VR leaders HTC VIVE, Computer experts Dell and Creative agencies REWIND and Imagination to create the world’s largest, global, connected VR experience. “Jaguar, by embracing cutting-edge technology in this way, has created an experience rich and rewarding for its consumers. It has undoubtedly redefined the future of how automotive brands introduce their new vehicles to customers." Jaguar is a premier manufacturer of luxury sedans, sports cars and SUVs offering unparalleled design with tremendous performance. The company's vision throughout its storied history has been simple: To produce beautiful, fast cars that are desired the world over. Jaguar strives to provide a world class ownership experience to every owner. Today's Jaguar lineup consists of the Jaguar XE and XF sports sedans, the XJ full-size luxury sedan, the two-seat F-TYPE sports car and the brand’s first-ever SUV, the F-PACE. Jaguar designs, engineers and manufactures exclusively in the United Kingdom, at the Castle Bromwich and Solihull manufacturing plants in the British Midlands. Jaguar is fully engaged with sustainability initiatives and social concerns with continuous involvement in environmental and community programs. For more information, visit the official Jaguar website at www.jaguarusa.com. The company employs almost 40,000 people globally, with 330 in the U.S. and supports around 240,000 more through our dealerships, suppliers and local businesses. Manufacturing is centered in the UK, with additional plants in China, Brazil and India.